A Family owned Furniture & Carpentry business based in Hopetoun Estate, South Queensferry, to the north west of Edinburgh. The Company has been established in the area for over three generations. We are available for all types of joinery work from small domestic jobs to bespoke items manufactured in our own workshop. No job is too big or small. Alcove Joinery provides an honest and reliable high-quality Bespoke Joinery Service throughout Edinburgh and the surrounding areas. 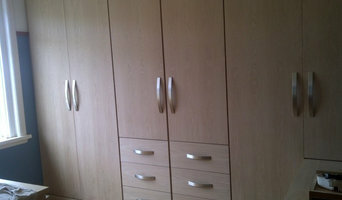 We Specialize in made to measure fitted furniture including Edinburgh press units, Alcove units and Fitted wardrobes. 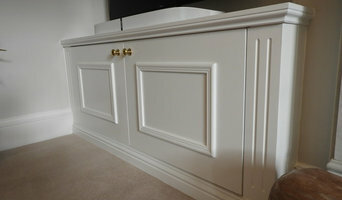 We can also undertake one-off Bespoke Projects. 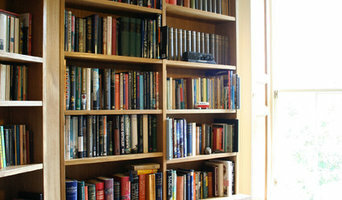 Francey Joiners & Shopfitters was established in 2003 by Managing Director Jay Francey. We provide a ‘start to finish’ professional and reliable service incorporating all trades to complete the job that you require carried out by 1st class experienced and responsible tradesmen. All our work is fully guaranteed and 100% customer satisfaction is our aim. We are proud to be members of the Guild of Master Craftsmen. 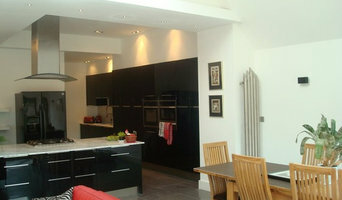 Jaymax Joinery Ltd are a joinery manufacturer based in Edinburgh. We offer our commercial contractors, developers and residential clients a choice of "complete installation and fully finished" and are also happy to manufacture on a "supply only" basis also. We welcome all of our prospective and current clients to visit our showroom and workshop where you can view first hand, a selection of current orders and projects being skilfully crafted at each stage of the manufacturing process by skilled trade and craftsman. 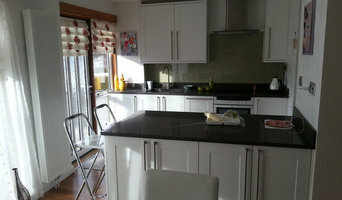 The Edinburgh Joinery Company Ltd is a well established team with a creditable reputation in Joinery Contracting. It's that depth of experience thats sets us apart in terms of how we relate to our clients. From Initial design right through to completion, we always adopt a proactive approach with innovative ideas to strive and add value to each project. Jim Forrester Joinery has been established as a specialist joinery company for over 20 years, run by a time served joiner with over 25 years of experience. We are Specialists in the manufacture and installation of custom made-to-measure hardwood and softwood windows and doors. We are one of the few companies in Fife who manufacture double or single glazed, timber sash and case windows, including the traditional sliding box style window. Based near Leven in Fife, Scotland, we undertake all types of joinery work for new builds, renovations and alterations in and around Fife, Edinburgh and the surrounding areas. We pride ourselves on the quality of our workmanship, our use of the highest quality materials and believe in providing a high level of service to our customers. Throughout any project we are happy to offer our expert advice to help the customer choose the most suitable style or materials. We also purchase, renovate and sell specialist properties, please check our Current Projects page for the most up-to-date information on any projects we have in the pipeline. Trevor James Solutions is a family run company in Scotland, founded by a local joiner Trevor James. We have over 15 years of experience, during that time we have built a great reputation based on our passion for good design combined with an eye for detail. Willowbank Joinery are high quality joinery firm based in East Scotland who work across both the domestic and commercial sectors. What makes us different is the complex work that we can take on; from restoration of Georgian and Victorian timber features to designing cabinetry made exactly to your specifications. We use timber and solid surfaces and are trained installers of M-Stone and Encore. We are happy to work with clients to make their ideas a reality and take commissions from house owners, builders, architects and interior designers. Please get in touch to discuss your requirements and arrange a free quotation.